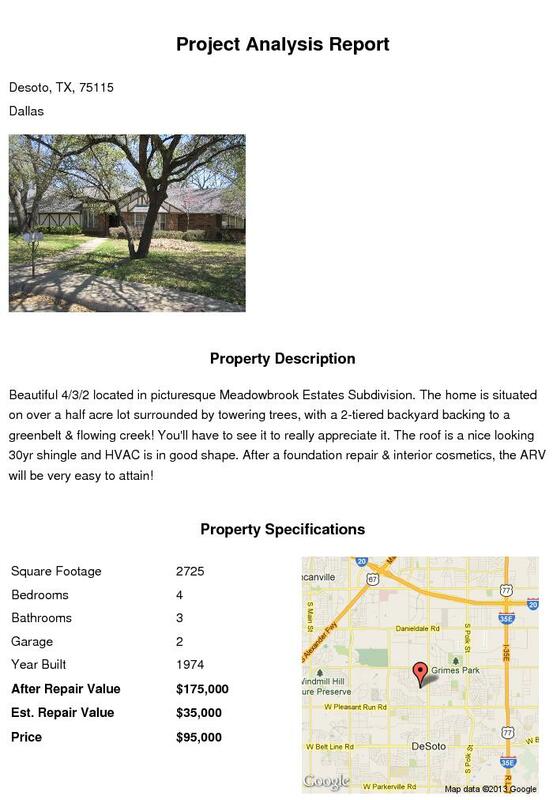 American Wholesale Property: Meadowbrook Estates Flip sitting on Greenbelt & Stream! Meadowbrook Estates Flip sitting on Greenbelt & Stream! Beautiful 4/3/2 located in picturesque Meadowbrook Estates Subdivision. The home is situated on over a half acre lot surrounded by towering trees, with a 2 tiered backyard backing up to a greenbelt & flowing creek! You have to see it to really appreciate it. The roof is a nice looking 30yr shingle & HVAC is in great shape. After a foundation repair & interior cosmetics, the ARV will be very easy to attain! Rudy Gonzales @ 214-531-3365 for the address!